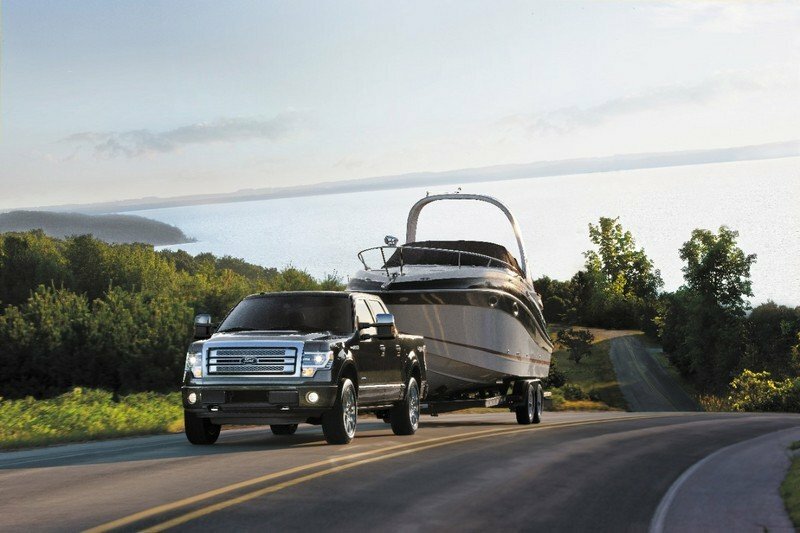 Towing, Payload, & GCVWR: What’s It All Mean? I talk a lot about towing numbers and payload capacity in this section. Both specifications are highly touted by truckmakers as consumers eat the hype. Of course, there’s plenty of merit to having a capable truck – there’s no disputing that. But residing just below the published “best-in-class” numbers and capacities that have somehow doubled in the last decade, lays a vast array of confusing acronyms, weight classifications, and exceptions for every rule. Let’s dive headfirst into the murky waters and brave the marketing hype with discerning ears. Let’s talk towing. The first thing to understand is truckmakers publish the absolute maximum a truck can pull when its equipped just so with the correct powertrain options, suspension setups, and towing packages. Drop by a local dealership and pick a random truck off the lot and it’s highly likely it won’t be equipped to handle the advertised trailer weight. 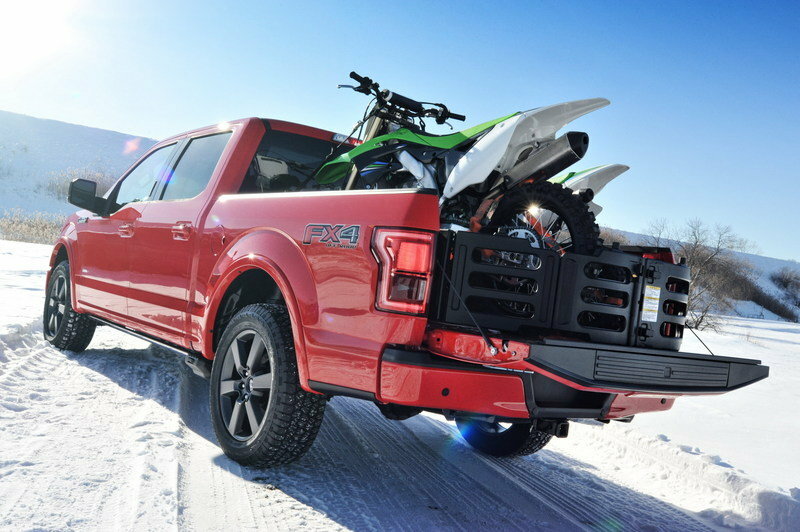 What’s more, even with a truck that’s actually equipped with all the right gear for maximum towing, there are still aftermarket parts like weight-distribution hitches and anti-sway bars needed to properly – and safely – handle heavy loads. But that’s only the beginning. There’s a heap of other things to consider before dropping a trailer onto your truck’s ball or loading cargo into its bed. Before we dive any further, let’s define a few terms. These are commonly seen in the back of an owners manual, in online towing forums, and on stickers found in the driver’s door jamb. Towing is defined as pulling a trailer behind a vehicle. It’s that simple. Whether you’re using the bumper, a frame-mounted receiver hitch, or an in-bed hitch like a gooseneck or fifth-wheel hitch, it’s all considered towing. 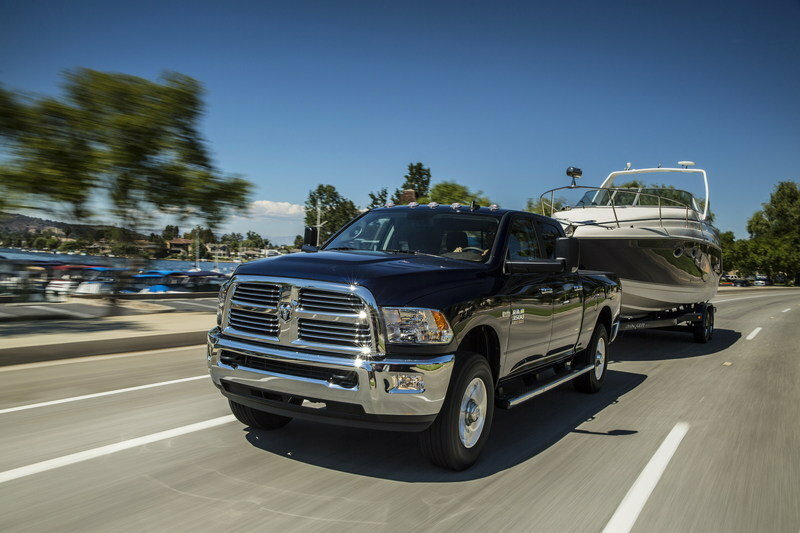 Towing’s advantage is that cargo weight can far exceed what you could otherwise carry in the truck’s bed or in the rear of an SUV. That’s because the majority of the cargo’s weight is resting on the trailer’s axles. Only a small portion of weight is carried by the tow vehicle via the trailer’s tongue. Payload is considered all the extra stuff you put inside your vehicle, whether it be passengers or a pile of rocks, that weight is all considered payload. The difference here is that the load is fully supported by the vehicle. Obvious examples include a truck with mulch or dirt in its bed or an SUV with five passengers and a week’s worth of luggage. In both cases, there is no trailer involved and all the cargo’s weight rests fully on the vehicle’s wheels. In general, a vehicle’s payload capacity is less than its towing capacity. The GVWR is a weight listed by the vehicle manufacturer that can be boiled down to the maximum amount a vehicle can weigh. This includes the vehicle’s unloaded curb weight, passengers’ weight, and cargo weight. If a truck’s GVWR is listed at 10,000 pounds and the truck weights 6,000 pounds empty, then its payload capacity is 4,000 pounds. The GCVWR is how automakers list the maximum allowable weight a vehicle can tow. By subtracting a vehicle’s base curb weight from its GCVWR, the automaker determines the available tow rating. Automakers usually publish tow ratings that account for a driver and one passenger, each weighting 150 pounds, and a full tank of fuel. So, if you’re going to tow a trailer that weights exactly what your vehicle is rated to pull, you’d better leave the family and their luggage behind. Continuing with the example, if a truck has a 15,000-pound GCVWR and it weighs 6,000 pounds empty, plus it’s loaded with 4,000 pounds of cargo and passengers in the bed and cab, it can pull a trailer weighing no more than 5,000 pounds. Helping to make things more confusing, we’ve got to account for the trailer’s tongue weight – or the weight the trailer exerts downward on the hitch. Generally tongue weight should be roughly 10 to 15 percent of the loaded trailer’s total weight – no more, no less. This tongue weight must be accounted for in the tow vehicle’s payload capacity. 5,000 pound trailer = 500 pounds tongue weight. This added weight must not exceed the GVWR when added with the passengers and cargo already sitting inside. For example, our theoretical vehicle and its 10,000-pound GVWR offers 4,000 pounds of payload capacity. If you were to hitch up to that 5,000-pound trailer, its 500 pounds of tongue weight would reduce that 4,000-pound payload capacity to 3,500 pounds. Get the idea? Now with all that out of the way, you’ve got the tools to understand how much your truck or SUV can haul and pull. However, it’s just as important to know where to find this information on your particular vehicle. Automakers place GVWR and GCVWR numbers on a placard inside the driver’s door jamb or inside the owners manual. Sometime you’ll have to do the leg work of figuring out what axle ratio your vehicle has or if your truck is equipped with optional engine oil and transmission fluid coolers that allow for larger loads. You’ll find that information usually on a sticker in the glove box that’s filled with manufacture-specific option codes. A quick internet search will reveal what your truck is equipped with. Being armed with that knowledge should allow you to make an informed decision about what your specific vehicle can properly handle. It’s easy to understand why you can’t simply go by what an automaker says a vehicle can pull. 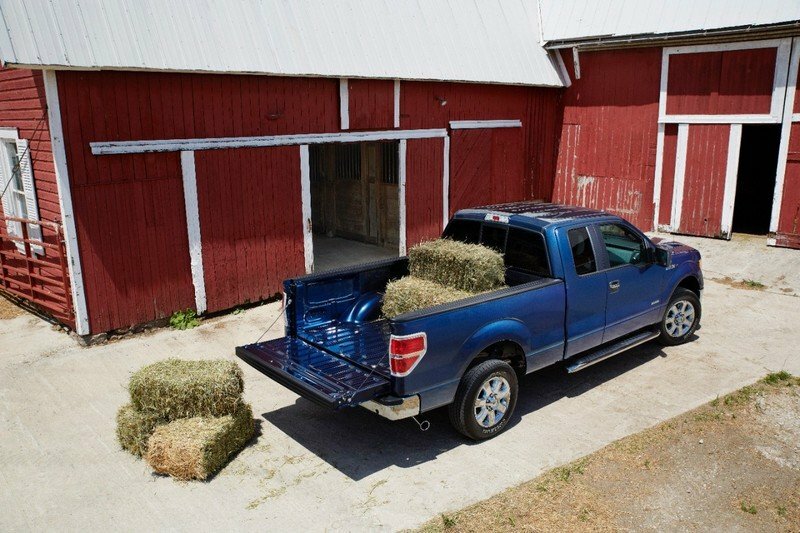 Sure, the 2015 Ford F-150 is rated to tow 12,200 pounds, but you’d never get away with that in a regular cab, short bed F-150 with the 3.7-liter V-6 under the hood. That’s why it’s always important to do your homework before hooking or hauling. It keeps you safe and me safe as I drive beside you. Sure, given the right circumstances, a good amount of traction, and flat ground, a one-ton truck could pull a couple of fully-loaded semi trucks around. “So what’s with all the fuss about towing and payload capacity? I saw a Tundra pull the space shuttle one time.” Ah, glad you mentioned that. Sure, given the right circumstances, a good amount of traction, and flat ground, a one-ton truck could pull a couple of fully-loaded semi trucks around. But pulling is only half the story – you’ve also got to stop that load. This is where manufacturer testing and third party validation comes in. 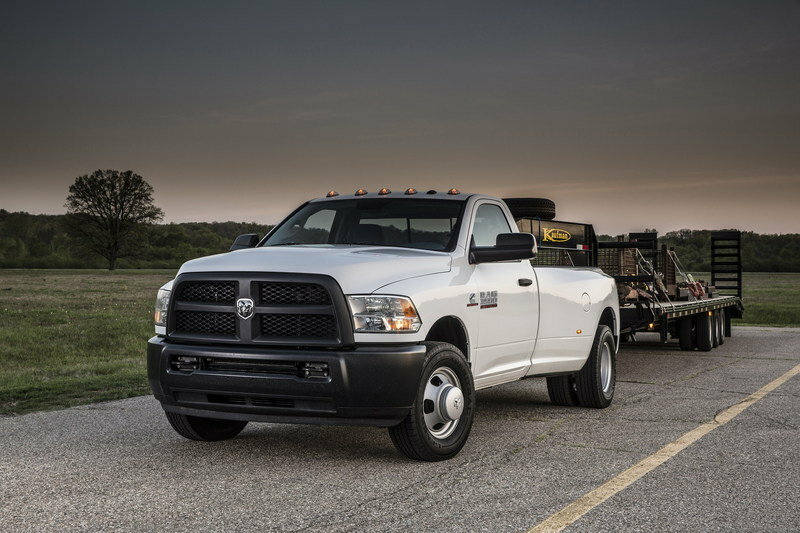 Truckmakers have tested how much their products can safely tow and haul. Those findings are what make up the GVWR and GCVWR numbers. Of course, truckmakers have been known to toot their own horns. That’s where the Society of Automotive Engineers and its validation process comes in. Known as SAE J2807 and defined as “Performance requirements for determining tow-vehicle gross combination weight rating and trailer weight rating,” the standard measures a vehicle’s ability to safely tow by measuring braking distances, acceleration times, passing ability, grade-climbing ability, and physical load-carrying capability. When a truck gets the J2807 seal of approval, you know it’s capable of hauling its advertised weight. For acceleration and passing, a non-dually truck must be able to hit 30 mph in 12 seconds or less, hit 60 mph in 30 seconds or less, and reach 60 mph from 40 mph in 18 seconds on flat ground. Duallies are given slightly more time in each category. The climbing test consists of a grueling 11.4-mile grade up 3,000 feet at the Davis Dam Grade on State Route 68 just southeast of Las Vegas. Four-wheeled trucks must complete the run with the A/C on and without falling below 40 mph. Duallies can’t fall below 35 mph. J2807 also includes a launching portion that tests a vehicle’s ability to get a load moving. The vehicle must move its load 16 feet up a 12-percent grade five times within five minutes. The test is done in both forward and reverse. Obviously there can be no mechanical or structural failures within the vehicle during these tests. So, when a truck gets the J2807 seal of approval, you know it’s capable of hauling its advertised weight. Currently Toyota, General Motors, Ford, and Ram trucks all conform to the J2807 standards. 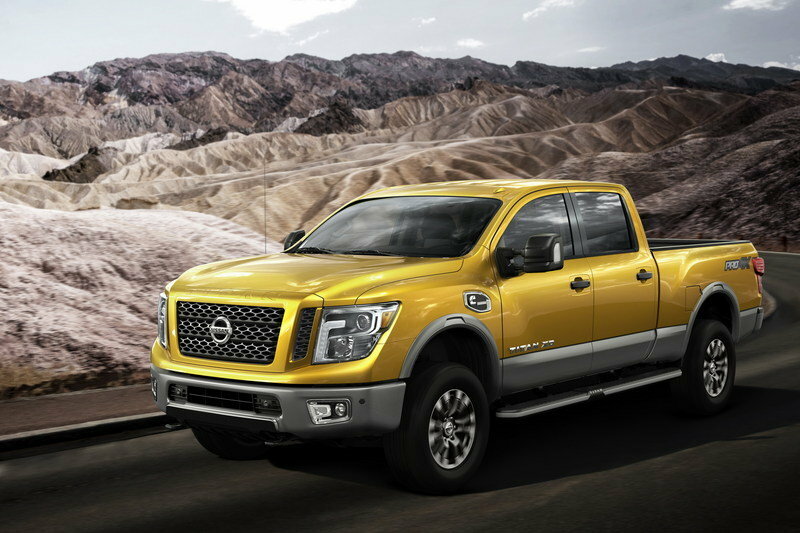 When the 2016 Nissan Titan XD hits dealer lots, it too will conform to the standards. Keep in mind, however, that published J2807 towing numbers are often the absolute maximum a truck model can tow when equipped with all the right equipment. Your truck may vary. So there you have it – or at least the tip of the towing iceberg. Hopefully the acronyms and towing ratings won’t look like a jumbled mess of nonsense when staring at the owners manual of your new truck while standing in the sweltering heat, wondering if you really should hook up to that 9,500-pound trailer.